The site was historically used as a car dealership that used the 10,000-gallon, steel gasoline UST to fill vehicles that were being sold. The UST system and associated dispensers were removed. The results of the site characterization indicated impacted soils were located directly adjacent to the on-site garage. Due to the proximity of the soil impacts to the on-site building, the use of a Dual Phase Extraction (DPE) system was determined to be the best remedial approach for the site. 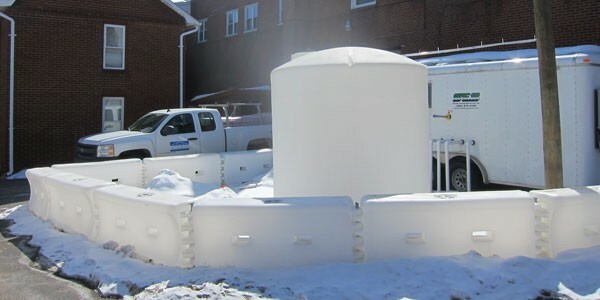 The system consisted of a rotary claw blower, a knock out tank/phase separator, two 2,000-pound carbon vessels to treat the soil vapor, and a 3,000-gallon poly tank to store water produced by system operation. The system was connected to four SVE wells. The system was operated until site redevelopment. The site redevelopment included the demolishing of all of the on-site buildings. To facilitate the redevelopment and remediation of the site, Lehman initiated the decommissioning of the DPE system in January 2015. 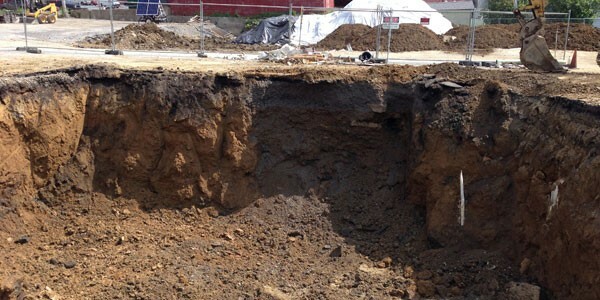 The use of a DPE system as the preferred remedial technology was based upon its ability to extend its remedial effect through the subsurface to areas inaccessible to excavation. However, due to the redevelopment of the site and subsequent demolition of the on-site buildings, a surgical soil excavation was proposed and completed. The soil excavation effectively mitigated unsaturated soil impacts and attained the applicable standard.